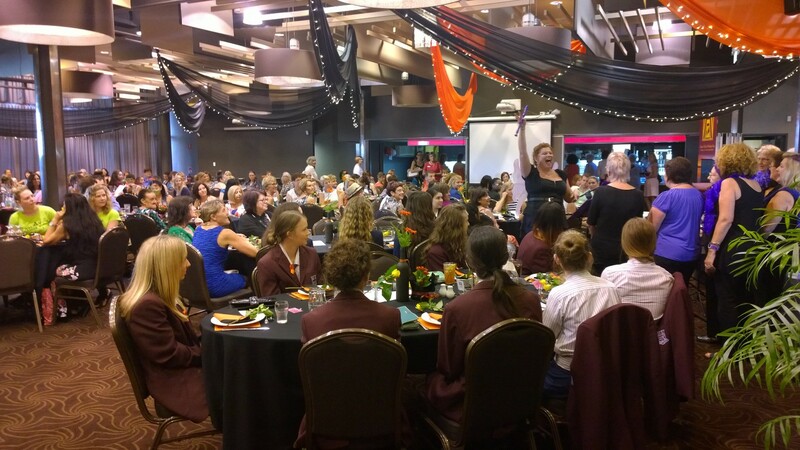 Zonta International District 22 | » Zonta Club of Mackay Inc.
Zonta Club of Mackay Inc.
Our coastal city of Mackay with over 120,000 people is located about halfway between Brisbane and Cairns – truly the centre of Queensland. With its coastal location and an annual temperature of 23 degrees Celsius Mackay offers residents and visitors alike a relaxed, tropical lifestyle that combines all the facilities of a modern regional city with an array of natural wonders. The Coral Sea, deserted islands, the Great Barrier Reef and fantastic fishing and scuba diving are all on our doorstep. The mountains – complete with their crystal clear streams, rain forests and unique flora and fauna – are also an easy drive away. And of course there is the Pioneer River – one of the few blue-water rivers along the Queensland coast. Mackay is the largest sugar producing area in Australia. The city is also a vital service centre for the mines of the nearby Bowen Basin which produce 85% of the state’s coal. The beef and tourism industries are also important to Mackay’s economic base and this diversity has helped the city to maintain its prosperity. The Zonta Club of Mackay was chartered in October 1992. Our club is part of Area 5 (Mackay, north to Cairns and west to Mt Isa), comprising nine clubs with over 200 members. Area 5 is in District 22 which encompasses Queensland and northern New South Wales (Northern Rivers), comprising 42 clubs. International Women’s Day (IWD) The 2020 celebration will be notified towards the end of 2019. Candle Lighting Ceremony – In memory of those who have died as a result of Domestic and Family Violence. May each year – 2019 details to be advised. Reclaim the Night – Last Friday in October. The 2019 event is on 25/10/2019 starting at 5.30pm at the Blue Water Quay, River St Mackay. Young Women in Public Affairs Award recognises leadership in young women in senior secondary school. Jane M Klausman award is awarded to a woman currently completing a Business degree. Applications closing 1 July 2019. Provision of breast care cushions to local hospitals for breast cancer patients – 2019 date to be advised. Assembly of Zonta birthing kits for delivery to developing Countries – 26 August 2019 at venue to be advised.. The 2020 Young Women in Public Affairs Award will open around November 2019. Applications will be available through your school or university or by emailing the club mackay@zontadistrict22.org. The winner will be announced at the Zonta International Women’s Day Brunch in 2020. The Mackay club sponsors the Mackay Women lunch – a networking and knowledge forum for women in business. This group meets monthly on the second Friday of the month.